Very spacious 4BR/3BA (2300 square feet) Villa located in the world-class Sandestin Golf and Beach Resort, Destin Fla. with accessibility anywhere on the Resort by Sandtram shuttle service should you decide not to drive. 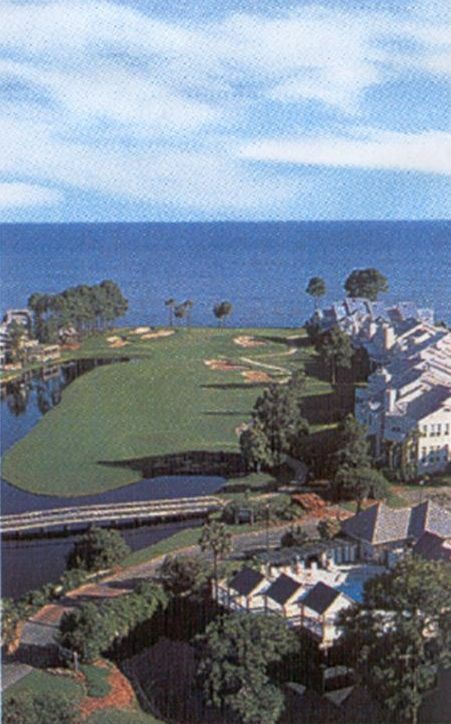 Sandestin is a 2400-acre guarded/gated community with four great golf courses, tennis courts, miles of biking and walking trails, health club, planned children activities, and much more. Our Villa has three levels. Sleeps 14/10 in beds. The first level bedroom has a queen-size bed; the second level has dual master bedrooms with king-size beds; the third level bedroom has a queen-size bed, Two sets of bunk beds and two twin beds. The third level bedroom is perfect for kids and golf outings. I have included extra hookups for computer games. The living room has a sectional couch which unfolds to a queen-size bed. Each bedroom has its own private balcony and TV/DVD. There is a screened in porch off of the living room with a beautiful view of the bay. Located less than 1 mile from the beach with accessibility by local Sandtram/Shuttle service that takes you anywhere on the Resort including, Wharf, grocery stores, shops etc. There are lots of things to do nearby... fishing, boating, shopping at the great Silver Sands outlet mall, and fabulous seafood restaurants and night life. There are a multitude of children's activities located at the Wharf which is a mini New Orleans style area on the Bayside of Resort and as previously mentioned you will be picked up and drop off by Sandtram shuttle service should you decide not to drive. I vacationed in Sandestin for the first time in 1995 and absolutley loved it. I stayed in a friend of mines home for several years and then decided to buy myself. I like the fact that you can do anything that you want to do without leaving the Resort. It is truely a self-contained City within the confines of Destin. Guarded gated 2,400 acres full service Resort. The Village of Baytowne Wharf is a self contained New Orleans style venue with a myriad of activities for children and adults. The Village is located a mile from my home. My home is located on the 8th hole of the Links golf course. One of 4 premier golf courses on the Resort. Parking for 2 comfortably with additional guest parking just steps from home. Large couch (queen sofa) and 3 additional chairs along with 6 chairs at dining room table and 4 bar stools . All dishes and utensils necessary for very large groups. Dining room table seats 6 and an additional 4 can be seated at kitchen bar adjacent to dining room table. A multitude of books (40 or so) located in baskets left from previous guest. Very good selection. All kinds of games located in baskets in closet for "rainy days". Also includes numerous puzzles. I have a nice little grass "Court" in back of Villa where the gas grill is located. The Marina which is less than a mile from my Villa offers: Jet-skis, para-sailing, sail boats, canoeing, kayaking, wave boarding and rental of motor boats and bicycles. Marina has access to renting motorboats as well as the Sunset Dinner Cruise - Solaris which sets sail every evening at Sunset for a beautiful sunset, dolphin watch andhigh end dinning. All bedrooms have Decks/Patio with chairs and tables for enjoying the morning and afternoon sun. Every water sport imaginable at the Marina which is just across the Bay from my home. Full service transportation system SandTram located just minutes from my front door taking guest to Beach, Wharf , Grocery Store, Marina, Restaurants etc. Anywhere on the Resort. Washer/Dryer provided,and VCR/DVD in each bedroom. All Cooking Utensils provided as well as Linens, Towels etc provided. Secured Large Private Pool for Vantage Pointe guest of owners located just minutes from my homes front door as well as two other pools located throughout the Resort. Responsible Pet owners Allowed, Smoking Outdoors ONLY please!